Create a large loop in the middle of a line. Holding the center, wrap the loop around this crossover point about six times. Open a hole in the center and pass the loop through the hole. Lubricate, hold the loop with your teeth, and pull the knot tight. 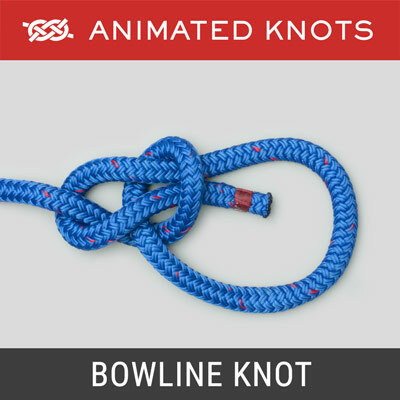 Note: in nylon tightening this knot alters the structure. Uses: The Dropper Loop creates a loop that stands out at right angles to the middle of a length of line. It can be used in your leader or tippet to provide an extra attachment point for an additional fly. If desired the loop can be made long enough to set a hook directly on it. However, to minimize the risk of fouling and twisting this Dropper loop should not be too long. 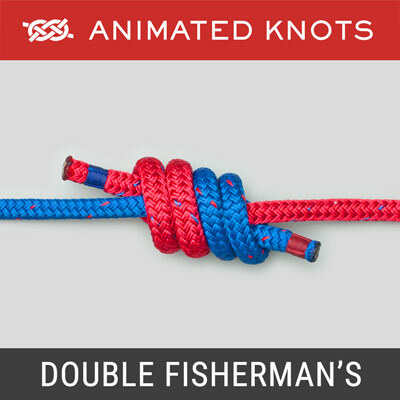 The Dropper knot is also used on multi-hook fishing lines. Tying it: There are two main methods of tying it. 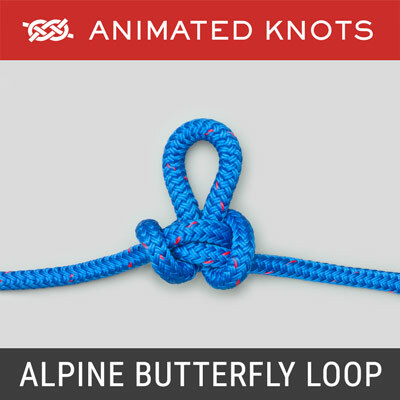 The animation shows the loop being wrapped round the overlap point that is held still with your fingers. 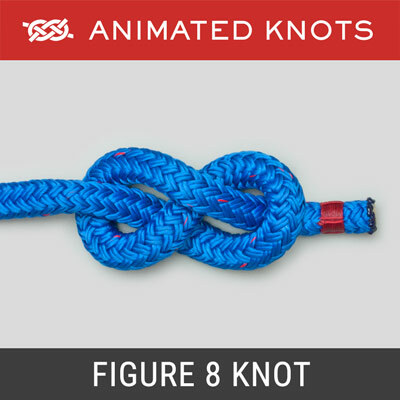 Pulling the Knot Tight: When lubricated and pulled tight, the knot changes its structure. 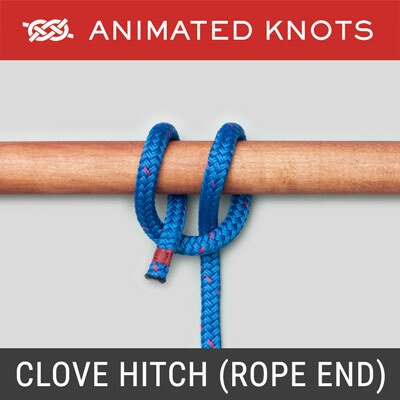 Pulling on each end forces the wrapped turns to redistribute the twists so that the inner strand becomes an outer wrap (not illustrated in this animation using rope). Alternatives: The same result can be obtained by keeping the loop still and twisting a matchstick in the overlap to make a spiral. The big loop is then passed through the hole occupied by the matchstick. Amos Baehr contributed an idea he discovered serendipitously when he tried a ballpoint pen instead of a matchstick: Use the clip in the cap of a ballpoint pen. Clip it on to one side of the loop and rotate it instead of rotating a matchstick. The weight of the pen is an advantage. 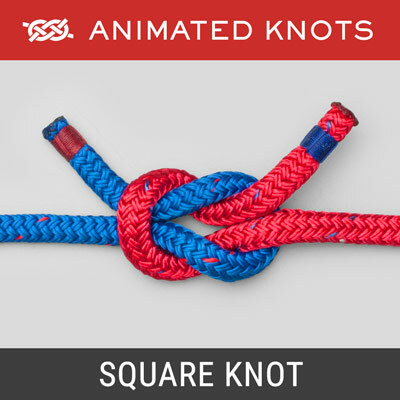 Whichever method is used, the knot should appear almost symmetrical either side of the loop. Advantages: The Dropper Loop angles away from the line which helps to avoid tangles.